The at sign, or @ as we all know it, is commonly used in email addresses and Twitter handles. Formally called an asperand symbol, the @ sign has become nearly ubiquitous in electronic communications today. A few years ago, the Museum of Modern Art proclaimed the @ symbol a design classic. Though it’s most often associated with email and Twitter, the @ sign has a history that predates email and social media by hundreds of years. According to an article published on Smithsonian.com, some believe that medieval monks are responsible for creating the @ symbol as a shortcut for ad, which is Latin for “toward.” Remember, monks frequently copied manuscripts by hand with quill and ink — a tedious process. Shortcuts made them more efficient. Another theory focuses on the French word for “at” which is à. Think of it as a lazy — or maybe even a fancy — way to add an accent. Another one suggests that the @ symbol, which looks like an ‘a’ inside of a larger ‘e’, is an abbreviation for “each at.” Merchants used the @ sign in this way to denote units and prices. For example, if you were to list twenty widgets for sale at a price of $20 each, you might express this transaction as: 20 widgets @ $20. Since the @ sign means each at in this example, the total cost would be $400. This usage of the @ sign dates back to the 1500s. Each of these theories share writing efficiency in common. The @ sign was simply used as a shortcut. Though the @ sign had its purposes, it wasn’t widely used until email claimed it as its own. Early typewriters and computer tabulating systems did not feature it, but later ones did. The @ sign remained largely ignored until the forerunner of the Internet, Arpanet, emerged. 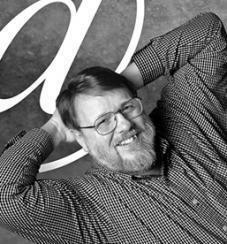 Ray Tomlinson, a computer scientist involved in Arpanet, needed a means of addressing electronic messages to someone on a connected computer. Just as you address a letter to a person’s name and identify the person’s home address, electronic letters (hello email!) needed to include the person’s name and identify the person’s computer by name. Tomlinson needed a symbol that wasn’t commonly used in programming, and the @ symbol was it. Though he could have used some other obscure symbol, the @ sign was perfect thanks to its French translation: at. Tomlinson created the email naming system we know and use today, and he’s credited with sending the first email message. Though Tomlinson’s email addressing system has withstood the test of time, addressing mistakes happen, making email validation necessary. With email validation, the words in front of and behind the @ sign are treated differently. Our email validation software understands email addressing conventions: the person’s name comes in front of the @ sign and the person’s computer address comes after it. Thus, if you have a contact named John Johns and his email address begins with “john.jones@,” you’re going to have a high level of confidence that his email address is genuine. On the other hand, if it’s “mickeymouse@,” your confidence level will be lower. Email validation software validates what comes after the @ sign as well. For example, it can correct common domain name misspellings such as @gmeal.com or typos like @gmail.c0m. The humble asperand symbol has been the domain of monks, merchants, computer scientists, and Internet users. We believe it’s here to stay.